Viet makes a great banana and Surinam cherry smoothie! He also likes eating the fruits right off a tree growing in his front yard. 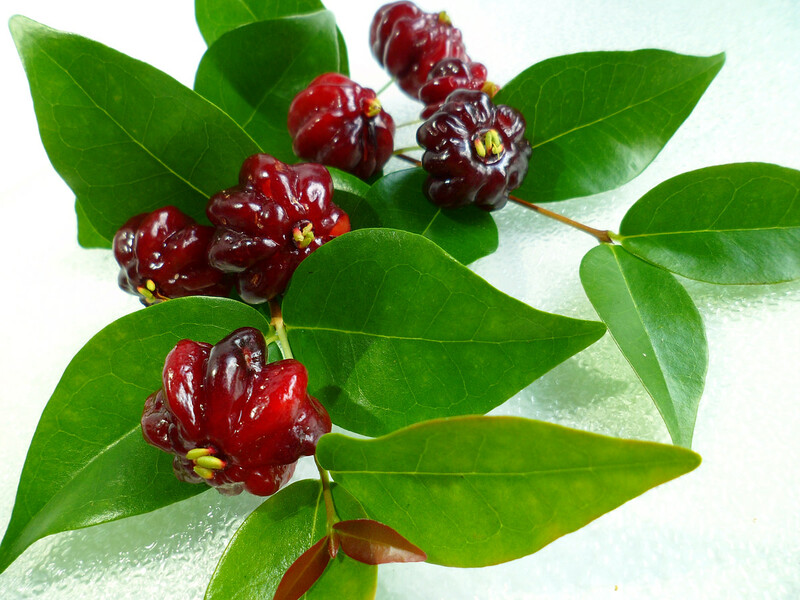 Surinam cherry (botanical name Eugenia uniflora) is a tropical shrub native to Suriname, Guyana, French Guiana, and Brazil. It’s also known as Pitanga, Brazil cherry, Cayenne cherry, or Florida cherry. Botanically, it is not a cherry or even tastes like one! 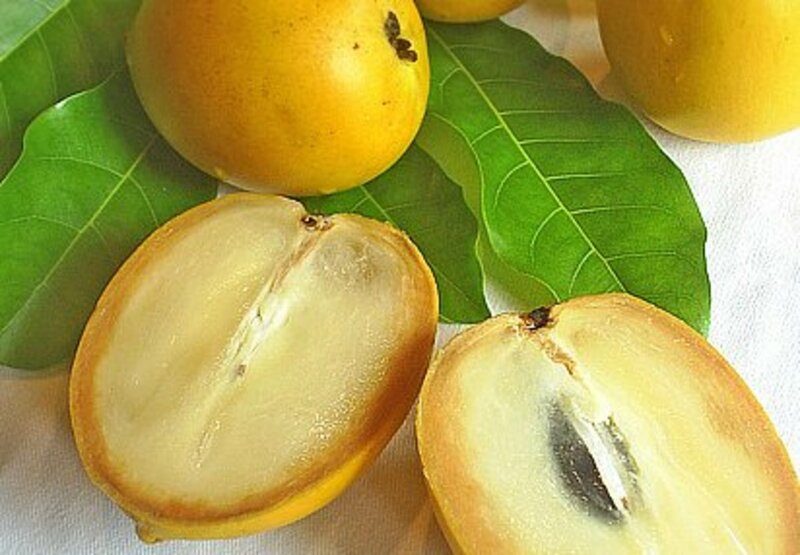 It belongs to the Myrtaceae family and is related other tropical fruits like guava and mountain apple. Surinam cherry has a distinctive wedged shape (like a tiny pumpkin!) 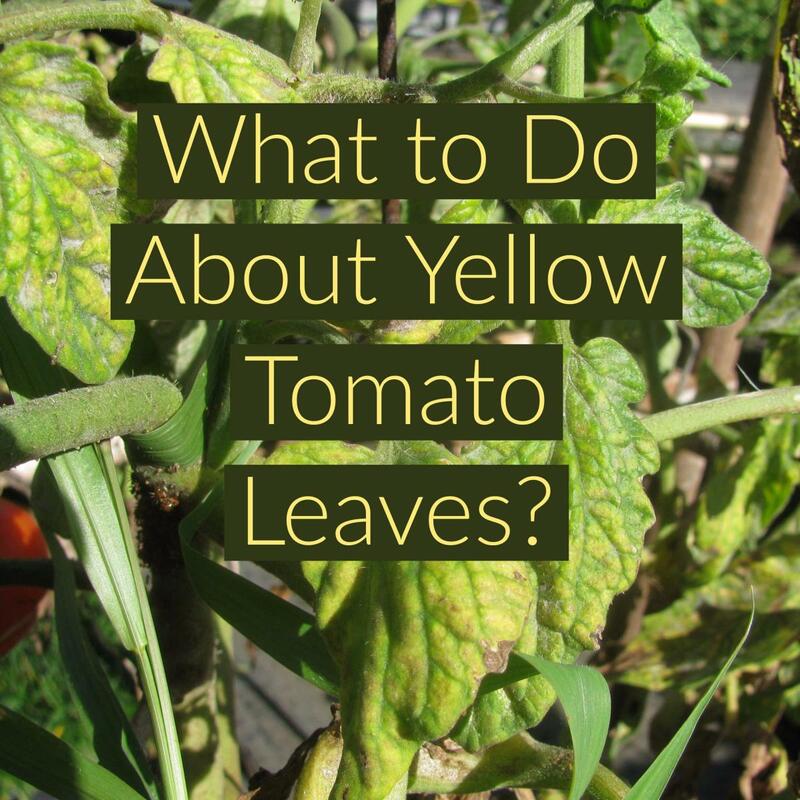 with colors ranging from orange to bright red to dark burgundy when fully ripe. 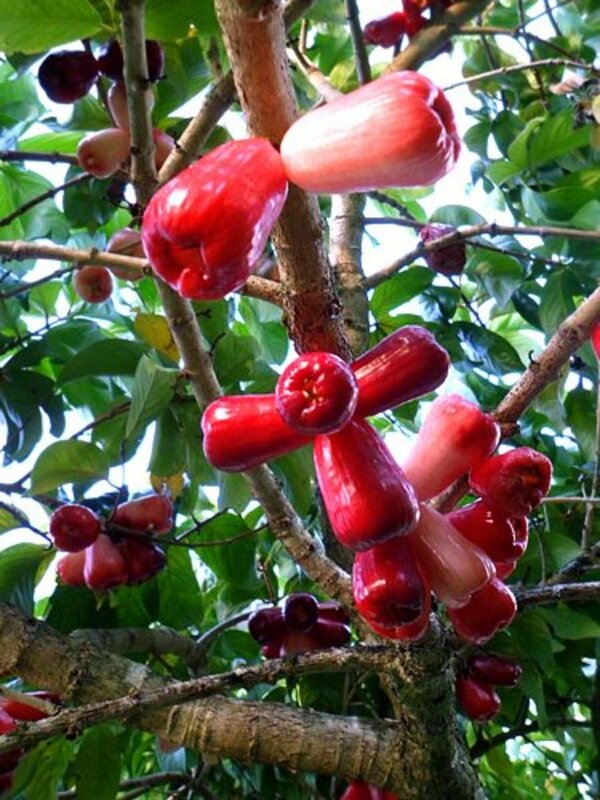 In Hawaii, they are grown mainly as an ornamental shrub with edible fruits. 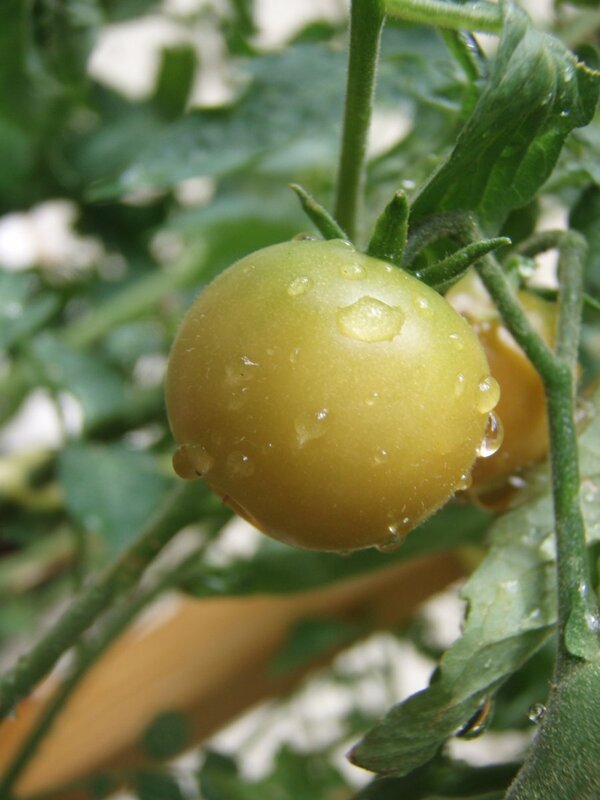 The fruits are very juicy and have a resinous, spicy aroma. Children in Hawaii love eating the fruits right off the tree! It is an excellent source of vitamin C, fibers, and antioxidants. 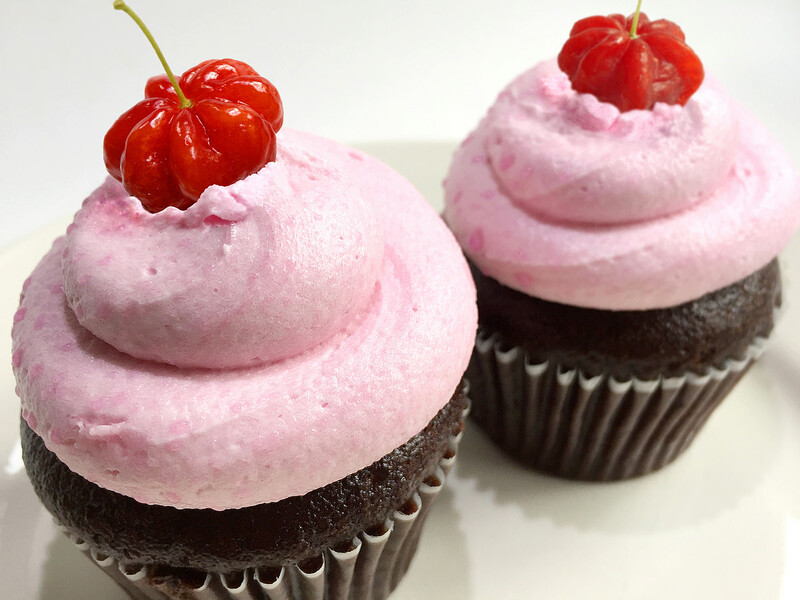 Ripe Surinam cherries are bursting with flavor! The juicy pulp has a tangy-sweet taste, with a slight bitter hint. Fruits with deeper red color (almost black) are sweeter and less astringent. Each fruit has one round “stone” or seed inside. 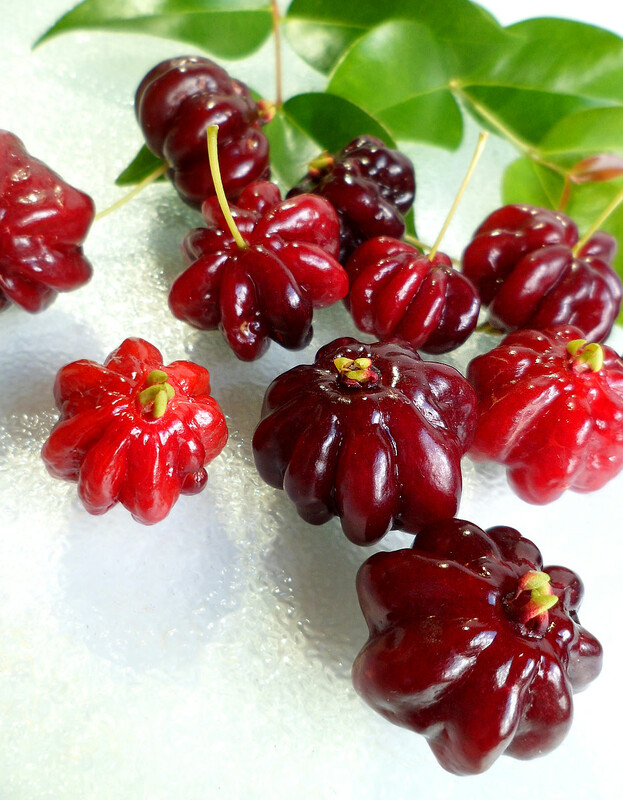 Surinam cherries are highly perishable; overripe fruits will quickly become mushy and fermented. 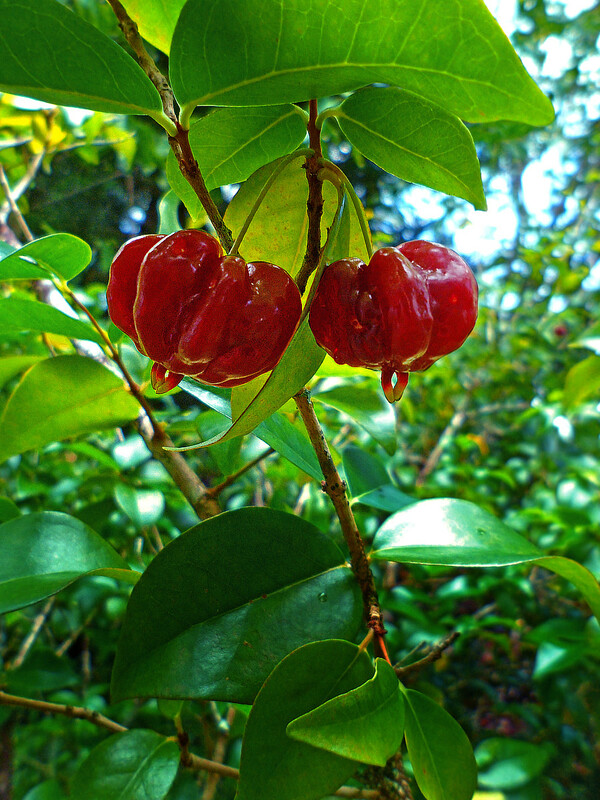 In Hawaii, people make jams and jellies with Surinam cherries. They also look great in fruit salads! In South America (Brazil, Argentina, Venezuela, Colombia) and West Indies (the Bahamas, Bermuda), people make wines with the fermented fruits. You may find baskets of Surinam cherries for sale at farmers markets or roadside fruit stands around the islands. If you’re lucky, you may spot a tree loaded with fruits at a public park or on a neighborhood street (ask the homeowner for permission before picking). Surinam cherry is easy to grow and requires low-maintenance. 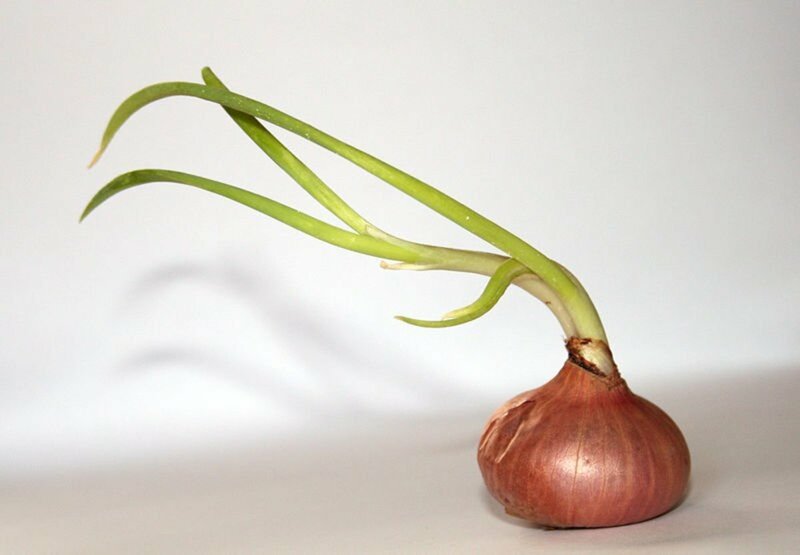 It's drought-tolerant, shade-tolerant, and can grow in any soil. It makes a striking ornamental shrub in the garden. In the spring, the whole plant is covered with clusters of white fragrant flowers that look like cherry blossoms! The flowers attract a lot of honeybees and butterflies. 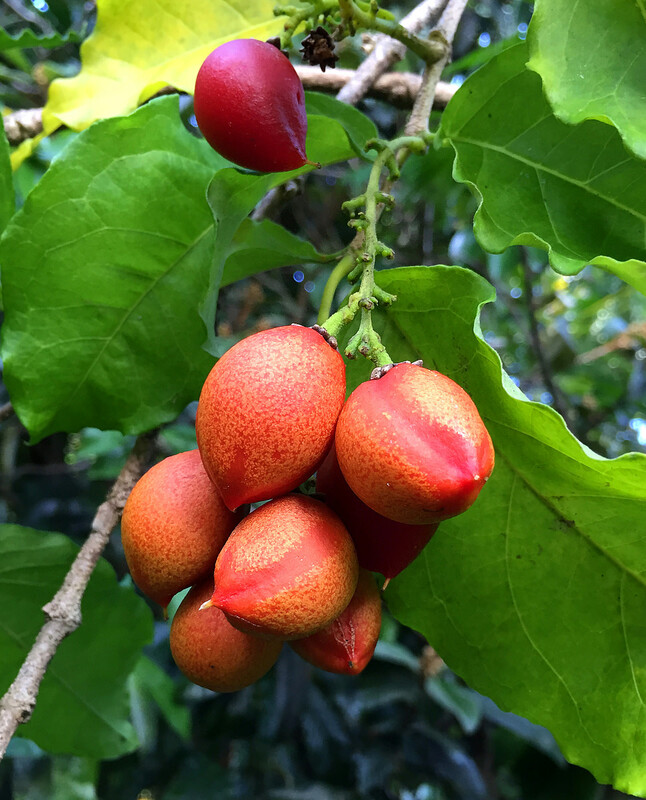 In Hawaii, Surinam cherry produces one first crop in March-May, then a second crop in September-November. During fruiting seasons, ripe fruits must be picked daily, before the birds ate them! Seeds scattered by birds or from fallen fruits will sprout baby seedlings under the mother tree. In Florida, Surinam cherry is considered a pesky weed! 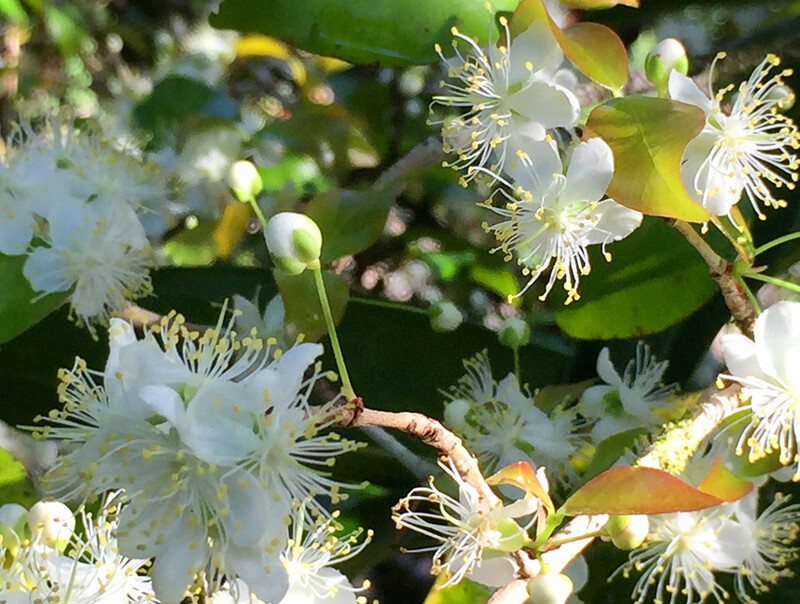 Once grown as a popular landscaping plant (hence the name Florida cherry), it now has spread all over southern Florida and became a threat to some native plant habitats. 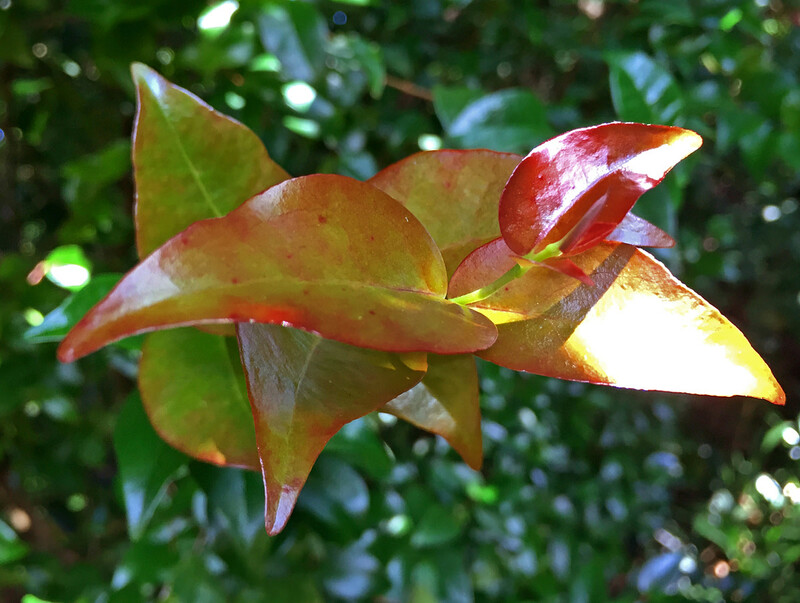 Young Surinam cherry leaves have a pretty reddish maroon color. When crushed, they release a pleasant peppery smell that is known to repel mosquitoes – the peskiest bug in Hawaii! 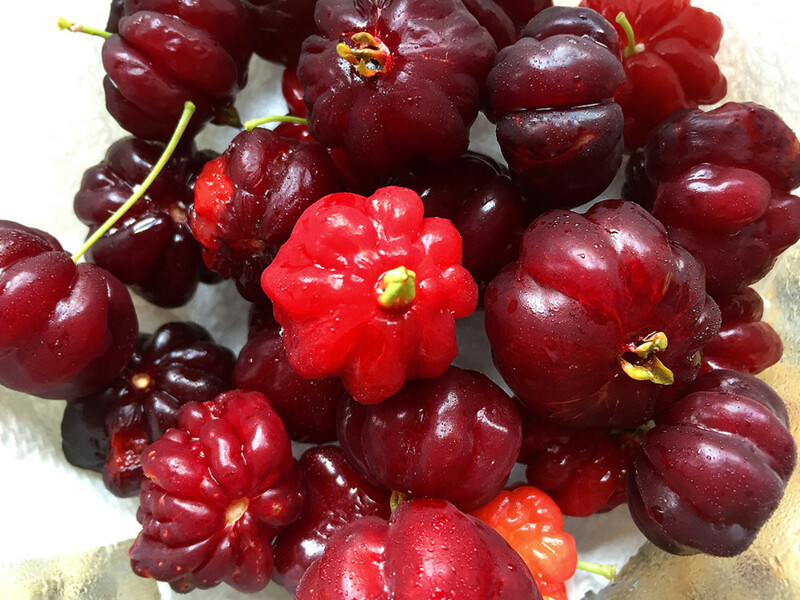 Have you ever eaten Surinam Cherry? When should the surinam cherry bush be pruned? Like most fruit trees, you can prune Surinam cherry after its fruiting season is over. It is a good idea to prune back the taller branches, keeping the tree at a desirable height for easy fruit picking. Pruning will also encourage the plant to become more bushy, perfect if you want to block out something, for example: your neighbor's messy backyard! Thank you for this information. I have about 50 of these around my backyard . I am looking foward to harvesting them for the first time. Hello Andrew! Thank you for your comment. 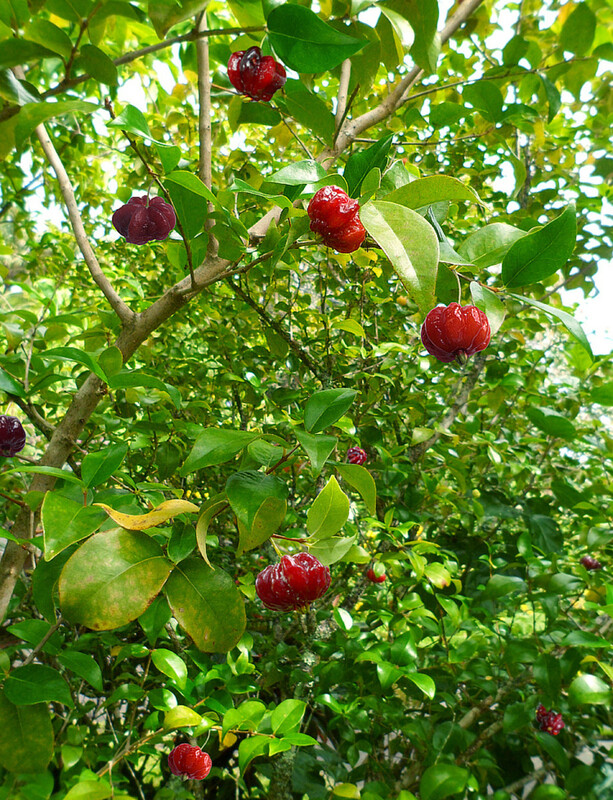 Surinam cherry grows well in Florida as a popular landscaping plant. It also spreads into the wild and becomes somewhat invasive. Glad you make pies with the fruits, I'm sure they taste heavenly! 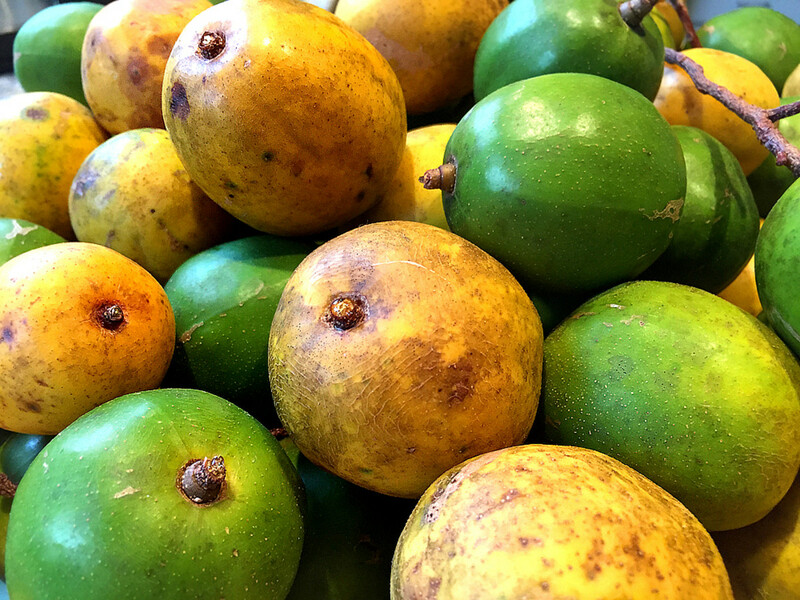 This tropical fruit reminds me of Flatwoods plum native to central Florida. 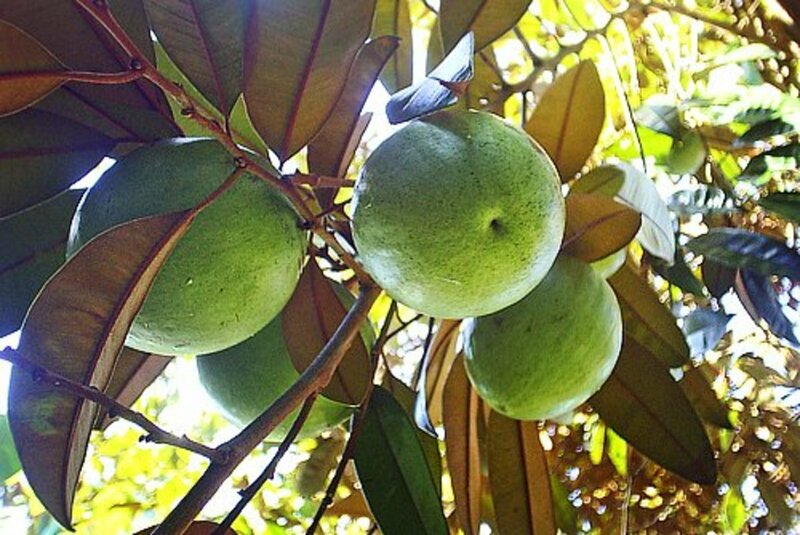 I made 2 large pies of this exotic fruit 5 years ago in the area just east of Tampa Florida. Nothing is as savory as a sour cherry pie. Something wrong with my tree, the fruit does not look right and won't get ripe?? Aloha Mary! So good to hear from you as always. I know, it's such an interesting fruit tree, even just for ornamental use. I have a neighbor across the street who is a beekeeper. His honeybees love it when my Surinam cherry tree is in bloom in the spring! I eat the cherries as snack or freeze them to make smoothie. Some people don't like the tart, spicy taste of the fruits but I like it. Aloha! I have had these here in Brazil. I know of no one who grows them commercially, I've never seen them in a store for sale. It is only if someone has a tree in their backyard. We see this with a lot of fruit trees here, things are just grown for personal consumption but have no market value. Sometimes too, they are too easily damaged if transported. I think it's great that people are still keeping these and other trees growing. I am all for diversification. Aloha LC! I'm glad you enjoy the article. Now you know about Surinam cherry. Please come visit Hawaii soon! Very interesting cherry article! I've never heard of it, but now I want to try some when I visit Hawaii.